I am trying to understand how the squirter size affects a Holley with the pump shot. I have always had the Idea in my head that a smaller size would give a sharper crisp throttle response but also lean the carb a little. Now I am thinking that it might only extend the length of time that the squirter flows. How does one tune with squirter size? If there is no stumble then should I leave it alone. Can it actually lean the carb and be harmful to the pistons? Does it change throttle response or only tune the overall curve? Sorry tried a search on here. If you have a link to another thread that would be fine. I am trying to understand how the squirter size affects a Holley with the pump shot. I have always had the Idea in my head that a smaller size would give a sharper crisp throttle response but also lean the carb a little. Only if the pump shot is too rich to begin with and it will only lean it at the hit, not down track. Now I am thinking that it might only extend the length of time that the squirter flows. This is true but that time can also be adjusted very easily with different pump cams, especially on a 4150 carb. Little more involved on a Dominator though as I don't think there are but two cams made for them. How does one tune with squirter size? Pump cams and also nozzle size by reducing both until you get a stumble then going back up to the next setting that worked. It's really just a trial and error thingie especially if you don't log AFRs. If there is no stumble then should I leave it alone. Well, that's up to you but as you've seen here there's most always things that can be better with tweaking. I know that Beretta has seen some better short times with his car after reworking the pump shot. Just make sure you write down what you have before you go changing stuff so you know how to get back to where you were before you started. Can it actually lean the carb and be harmful to the pistons? Keep in mind that "most" engines that are damaged by detonation are usually at WFO for some extended length of time and likely in high gear. Not saying it can't happen at other times, just that detonation that does significant damage usually requires higher cylinder pressures and that usually requires WFO in high gear. Does it change throttle response or only tune the overall curve? The pump shot does have an effect on throttle response but on a drag engine is usually gone pretty quick after the hit. Therefore it doesn't have that much if any effect on down track performance. BUT, as in Beretta's case, if you make the car quicker in 60 ft, then it's going to be quicker at the end of the run also. Sorry tried a search on here. If you have a link to another thread that would be fine. There's a bunch of stuff posted on this as we have had two guys that did a bunch of testing on Dominators, yeah different carb but same principles apply. Try searching for "nozzle", "pump shot" and "pump cam" posted by both Beretta and fourtenposi. OK, so mine are the common block style without the tubes on them. I assume that it would be easy enough to buy a drill bit set and drill them out. I would guess that Motorsports Village has a chart some where to find out which bit will make what size squirter. All I seem to have is a lot of 25's, 28's. 37's and maybe a 35. Jegs has a bit set pretty cheap. A set with an assortment of squirters runs close to 80 or 90$. Jegs or Summit haven't produced any knockoffs yet. FYI, we generally start with an .035 nozzle with a Dominator, which is a 50cc pump. Hint, if you don't have any problems right now, that would indicate you would need to go lower to get to a point where it leans out to a bog or hesitation. There's a chart that has pump cam info in a sticky post in the fuel systems section. It's important to note that performance gains (if there is any) from changes in the pump shot may be so subtle that you may not even notice it except on a time slip at the track. Having said that you can experiment to find out how lean you can go before it hesitates now but you won't know if it's any quicker until you do an A/B test at the track next year. Yes I understand. I was just thinking of using one of my extra 25's and drilling it up one at a time. As soon as I found a Base to start with. I have been using a 50 on my primary side for years. I have heard many times I don't need it, but I have tested it both ways and I see a lot more launch with the 50 on the primary side in my car. Woke up this morning thinking about this. My 800 had an amazing off idle launch. The Carb I just reworked and have on now idles better than any of my other carbs. A good smooth transition but not rip roaring like the 800. I have always had the Idea that the 800 just has a better style metering block. (They both have the same primary configuration/size. )Now thinking about it. My new/old carb has a 37 nozzle in the front, the 800 had a smaller one. I have used the 50 pump and the same cam and arm on both. (I spot welded a flat washer on a secondary arm to use on the front, and bent the arm a little for less travel.) Maybe the pump/ cam/ nozzle combination was the thing that gave the 800 the screaming launch. I used to fantasize that I could set off the red light camera from a stop in front of it and hit 35 before I get underneath the light. A 100$ trophy picture with only a fish story behind it! In my old Holley book. At the back they list different list #'s and show everything they came with stock, as well as the size's and kit numbers. Many of the same size carbs with different list numbers have different nozzle sizes. Is it because the metering blocks or the idle circuits are different. Emissions or something? Is it possible to drill out a squirter to a different size. Is it fairly easy. Would I need to make a fixture to keep it going at an angle, or just do it slowly by hand and let the bit follow the guide of the old line? No two carbs are going to be alike. I have 2 1150's with the same blocks and there both set up differently ...I also think Ken had that same issue with one of his Alky carbs compared to the other. Think you just need to contact Bruce and get a few different nozzle sizes and go from there..
Where's Mark with some wisdom on his thinking????? They're easy to drill, especially if you're going up in small increments. I've added 2 holes to make 4 hole squirters. That took some time. My experience with pump shot, is that the squirter size dictates how fast the pump emptys. So if you have a 50 cc pump with a realatively small squirter, The pump shot will last longer compared to a larger squirter where it will dump the fuel alot quicker. IMO, the less you have to depend on the pump shot, the more responsive the carb will be. The purpose of the pump shot is the fill in the holes between the between the circuits. So if you get your carb tuned where you circuits overlap nicely, you need less pump shot. Several years ago, I took the pepsi challenge with Pro-systems, They sent me a 4150 with a 50 cc pump up front. It was lazy. Every carb I have ever had that I had sharp throttle response had small cams in it. You would have a hard time convincing me that a gas carb actually needs a 50 cc pump. I am not opposed to what you are saying. I just may have to change my way of thinking. Do some experimentation. I have swapped back and forth and saw more benefit with a 50. I do understand that it only starts the process, it is not the process. 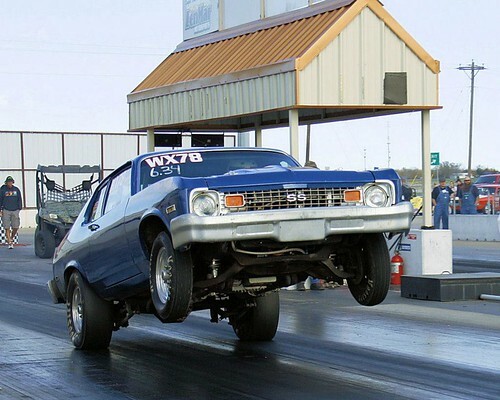 I don't know if this has anything to do with it, but a 455 Olds is kind of a low end grunt with a quick rpm run out. At 3500, it felt almost the same as 5000 in my SBC Chevelle of the same year. I have 28, 31, 32, 33, and 35's. Depending on weather conditions 28 &31 when really hot and humid. up to 35's in great weather. I had a 50CC pump front and back on a 850. I put pink cams front and back and it helped 60'. It never stumbled but it seemed lazy. Not saying that you didn't see an improvement with the 50 cc . But think about what is happening, Go out to your car and watch the squirter and note how long fuel is coming when you smack it to WOT. I know mine would discharge over a second with the 50 cc cam and the stock brown cam. You could see it in the logger. So basically, with a 50 cc cam, you filling a hole in the fuel curve. You got to remember carb response is about the entire tune of the carb, not just the squirter. Do you have an o2 setup? Maybe it has been the ramp of the cam that was doing all the work and not necessarily the volume. I have a scattered selection of nozzle sizes, just not in increments of one or two apart. My Cam and Convertor seem to take what ever I though at it. Also a 3.90 rear. A read out would be the real story. The accelerator pump is there to supply fuel until the boosters can recover from a quick throttle opening. Anything more than enough to allow the boosters time to start is more than you need in most cases. The only other reason it might want more is if the fuel is sloshing too much in the bowl at launch, to cover that as well. I've run a white 30cc pump cam in the primary of a 1050 with 31P, 35S squirters on my 427 SBC and no issue with getting sufficient fuel. Needs are fuel and engine driven, but you can in most cases take away pump shot as long as the ignition and engine tune are up to par. As most have figured, the squirter determines the duration of the shot and how much is given over a period of time. The ramp of the cam determines how much at what throttle position, and total amount available. On 4150's some give more or less, and some ramp quicker or slower. Use the least amunt in coldest weather and you will find the car will run cleaner.